What makes ERP implementations challenging, complex and painful for the customers? Well, the legacy systems designed in the pre-cloud era take long implementation cycles and are extremely tough to customize. These traditional ERPs are also very expensive to maintain. The multi nationals typically have customised processes, which makes it tough to fit the legacy ERP systems in their organisations. The version upgrades can be cumbersome, especially when the organisations spans across different countries. The local instance may not be in synch with the global version and require extensive integration and testing efforts. The involvement of too many persons in support staff and business downtime is another major reason for enterprises to move away from traditional vendors and legacy ERP providers. The key drivers for ERP today are agility, responsive to changing business scenarios, and quick results. These cannot be met with legacy ERPs. The enterprise cloud ERP is the preferred business platform now. The On premise and traditional ERP is slowly declining. The adoption of cloud ERP will rise by more than 100% and legacy ERP will decline more than 30%, as per PwC. 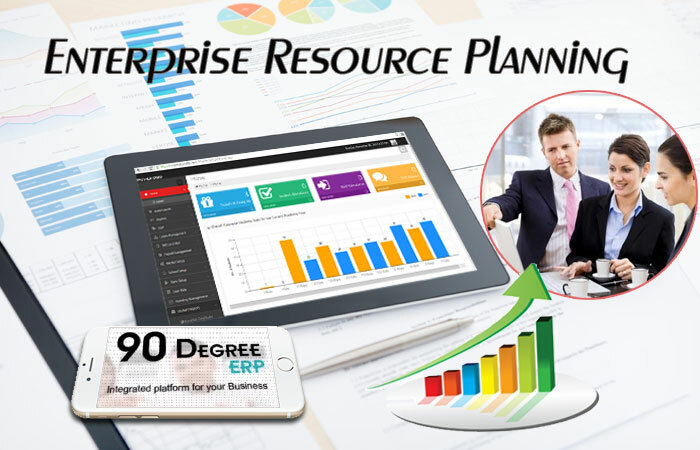 The cloud based ERP is clearly gaining prominence and giving rich dividends to its customers. Companies are looking for Results more than investments when it comes to ERPs now. And on demand cloud ERP is the solution for most enterprise customers. Here is a look at the top trends for ERP implementations. The adoption of cloud based systems has been on the rise. Whether it is the CRM, Finance management, HRM or Asset Management, the companies are increasingly choosing cloud based systems over the traditional options. Cloud is now a key business driver for ERP systems. The companies are evaluating their options of deploying systems to cut down on infrastructure costs to implement ERP systems. There is increasing demand for automation that drives business. The work flow is automated and key events are scheduled by the software. For e.g. when an escalation is raised from a client, the same is handled in the back office. Automatic notifications are sent to the person handling the notification and his manager. The events like customer escalations, procurement and other business areas are driven by ERP. The manual efforts are minimised to achieve higher accuracy and self driven business tasks. Analysis of core business processes, understanding of how they’re interconnected, their performance, cost, and contribution to the organisation’s goals. The idea is to eliminate the bottlenecks and create a system which can effectively achieve the desired results. With increasing competition and global business models, the companies are looking to serve their customers better with ERP. Improving the customer service and making it visible to the top executives with realtime data is the key requirement from the ERP. ERP helps in simplified processes, improved operations and faster time to market to improve customer service for organisations. The business scenarios today are more complex and challenging than ever before. Companies face pressure to show consistent growth, manage rising customer expectations and evolve with changing dynamics. Systems that can analyse data, behavioural patterns of customer and predict new business opportunities are very much in demand. The data analytics is correlated to business outcomes. These systems are able to uncover hidden business opportunities and act as platforms for business growth. Enterprise applications today must be accessible on mobile devices. The sales team, top executives and many other employees need a system which can be accessed on the go. The mobility helps the sales team to drive business more aggressively. The executives are also empowered with information as and when they need to make critical business decisions. The mobility support in the ERP is a must have feature now. Organisations are moving away from the traditional model of trying to fit their existing processes to the legacy solutions. The complexity of the operations and integrations can be simplified with tailor made solutions for organisations. This ensures that the key business areas are translated to ERP effectively and deployed according to the priority of the organisation. The module priority, deliverables plan is flexible and dynamic as per the needs of the companies. Managing a virtual team, contacting leads through advanced VOIP tools, or simplifying enterprise asset management with RF tags and GPS enabled systems; the ERP should be equipped with advanced technological tools to drive compelling results. A generic system that is not up to date with the latest technology creates bottlenecks in an organisation. The ERP must be up to date with latest advancements in technology and make it available for the users seamlessly. Gone are the days when customers waited for years for implementing ERPs. Now they need quick and customised delivery for their ERP systems. The cloud based ERP systems ensure that clients can get up and running within a few weeks now. The business functions cannot be disrupted due to long ERP implementations. The timing of the implementation, flexibility and meeting business objectives is the key. ERP implementation is not a technological progress, but an enabler for business objectives. A successful ERP implementation revolves around successful translation of key business areas in an optimised, refined manner for better tracking, visibility and results. An effective ERP will create value, improve performance, increase transparency, optimize processes, and help you transform your business.